Homeowners insurance certainly isn’t a topic that most people like to think about except for those funny commercials on television. For first-time Zionsville, IN homebuyers it can seem quite a daunting task to add the insurance cost on to the other long list of costs associated with buying a new home. But, homeowners insurance isn’t just required for your mortgage, it is an important plan to keep you and your home safe. Generally it covers damage from fires, most storms, theft, and more. It is a wise investment in your financial safety. 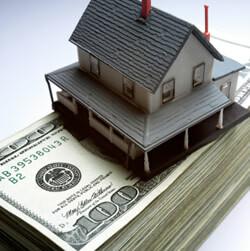 Many homebuyers do not know about ways to knock a little off of their insurance rates. Below are some ways to not only improve your new home’s safety, but, to also possibly save some dollars on your yearly premium. Home Security. If your new Zionsville, IN home is in a gated community or has a security system you may be able to pare as much as 15% off of your policy, dependent on the provider. Dead-bolt locks may also bring a slight discount for some providers. Fire Safety. Installing smoke detectors and carbon monoxide detectors are necessary protections and are also something that may bring you a discount. Taking fire safety further with a sprinkler system and heat detectors may bring further discounts. Discount or not, fire safety is well worth the investment for your family’s well-being. Policyholder Discounts. If you are an established homeowner and you haven’t filed a home insurance claim in the last 10 years you may want to ask about a discount. They may surprise you with as much as a 20% discount, retired homeowners may also receive such a discount. If you are a soon-to-be-homeowner shopping for insurance make sure to talk to your car insurance company, bundling your car and home together is sure to yield savings. Be sure to shop around because in today’s competitive market you may receive wildly different quotes from provider to provider. Although this isn’t an exhaustive list of ways to save on homeowners insurance, we hope it helps make the process a bit easier. Whether you’re ready to buy a home in Zionsville, IN or just have a few questions about the process, please contact a Zionsville, IN real estate agent. We hope to hear from you soon!